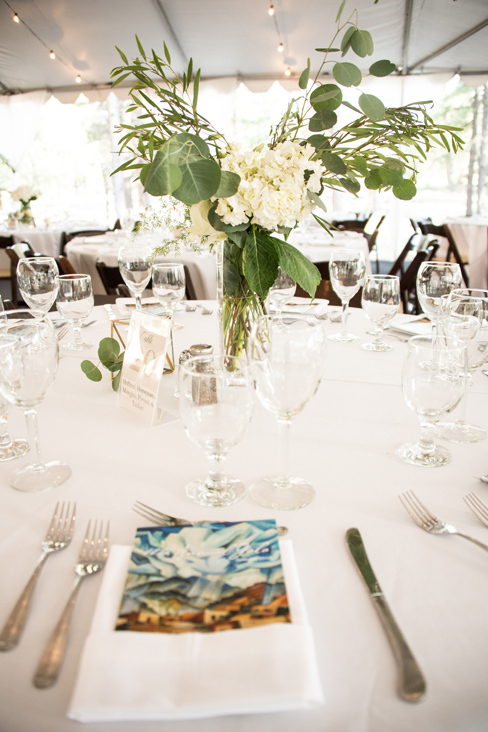 The Museum of Northern Arizona holds their annual gala and art auction every June. This year we had the pleasure of collaborating with them on their event. We wanted to do something a little different this year and compliment the beautiful surroundings. 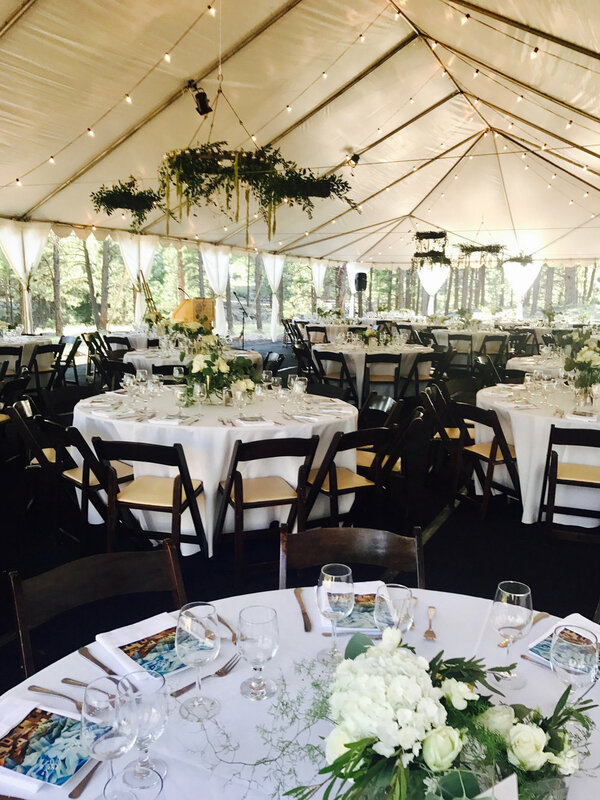 We used white linens and created simple centerpieces with lots of greenery, white hydrangeas, roses and lisanthus. 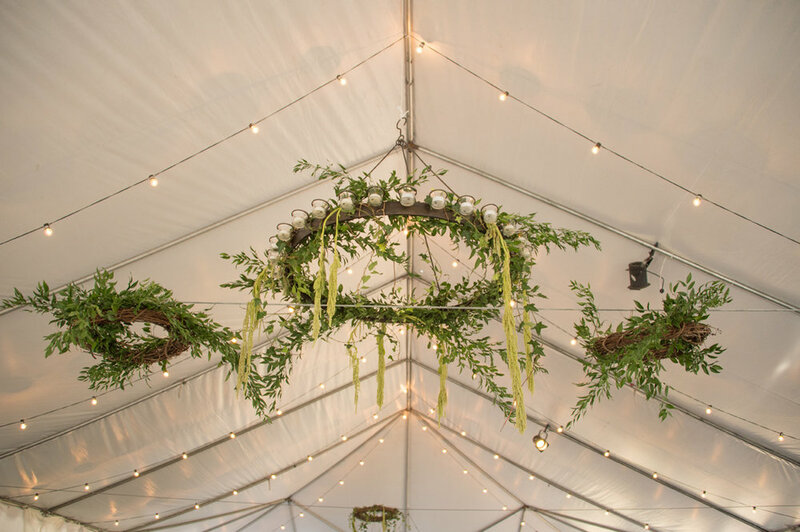 We hung greenery from candle chandeliers and wreaths from the tent. It was a lovely and successful evening.